Americana – or should we say Antwerpicana? 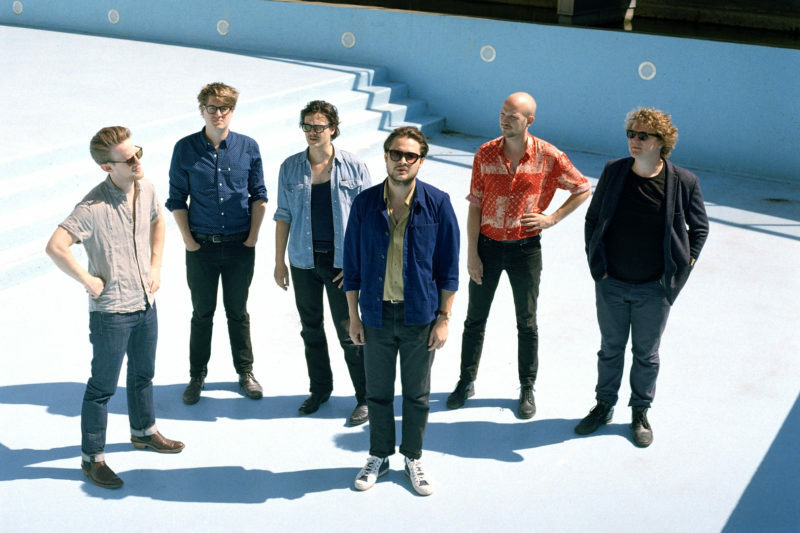 Whatever the case may be, the Antwerp sextet that calls itself The Calicos – in a previous life Matt Watts’s backing band – persuaded the jury of Humo’s Rock Rally with songs firmly rooted in the tradition of Neil Young, Wilco, The Eagles and Ryan Adams, pedal steel and all. The Calicos have joined a select group of illustrious winners such as Evil Superstars, Novastar, Goose and Whispering Sons. The press core couldn’t think of enough superlatives to describe The Calicos’ performance at the Humo's Rock Rally Finals. They praised the seamless interplay between the band and the voice of Quinten Vermaelen as well as the scintillating songs which, according to one journalist, “invited the setting sun into the venue”. One of his colleagues saw a promising future for The Calicos, pointing out their potential “to pupate into an alternative pop group to bridge the generations"
Some bands might start to believe their own press but not The Calicos, they’re keeping feet on the ground. They released their maiden single ‘Our House’ on 26 October, in a production by Reinhard Vanbergen. This coincides with a club tour including dates at 4AD, Charlatan, Het Depot, N9, Trix and De Roma. A full-length debut is not in the cards just yet.They’re waiting for the right time and won’t be rushed. These guys won’t settle for anything less than brilliant.